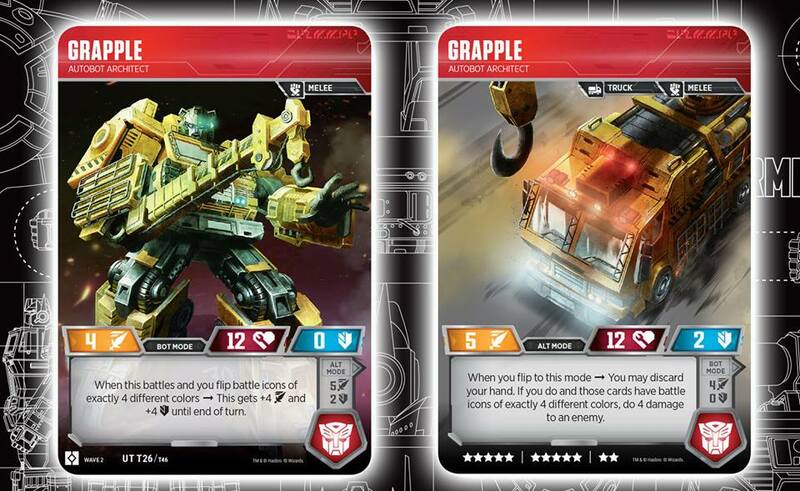 Courtesy of the Transformers Trading Card Game Brand Manager Drew Nolosco, we can share for you the new Transformers TCG Grapple Card. 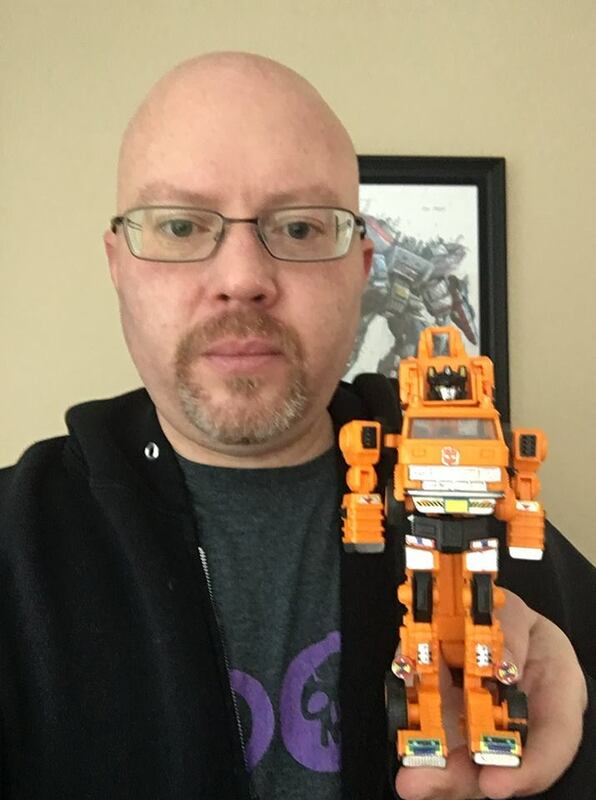 Mr. Nolosco revealed the card via his Facebook account with a nice message remembering that Grapple was his first G1 toy. Grapple is part of the upcoming Rise of the Combiners booster set, and his Alt Mode flip ability does a hefty chunk of direct damage. Don’t forget that the new Wave 2 Rise Of The Combiners expansion will hit shelves on March 1st. I have no idea why, but I dig Grapple. I saw that, and look where we at now. Boutta smack you for disrespecting my boy Grapple like that. In all seriousness, don't be afraid of your voice, don't be afraid of the way you look, and take your act to YouTube. You can make it happen like a lot of others have-I even saw you introduce a thread like you're a YouTuber! Give it a try. You just have to convince yourself you're undeniable and that you have "it", because you just might, but you'll never know unless you put yourself out there. …maybe change your name? Like, okay, keep your username here, but maybe try something a little catchier; your name here smacks of Channel Awesome, and I know from experience that people aren't too hot on them. I've always wanted to be a youtuber, well I need to give my threads some sort of introduction. I like making interesting topics like today I made a thread of a character definitive physical traits. I should change my username though, I dunno what will it be. But thanks for the inspiration. Why would anyone even be thinking about Hauler often enough to ever consider that Grapple might be him? Doesn't he only exist as an altmode-only extra for one scene? Wow and I created a thread about Grapple. Anyone else think it was Hauler in the thumbnail at first? All times are GMT -4. The time now is 6:28 PM.